Relationships are hard to manage. 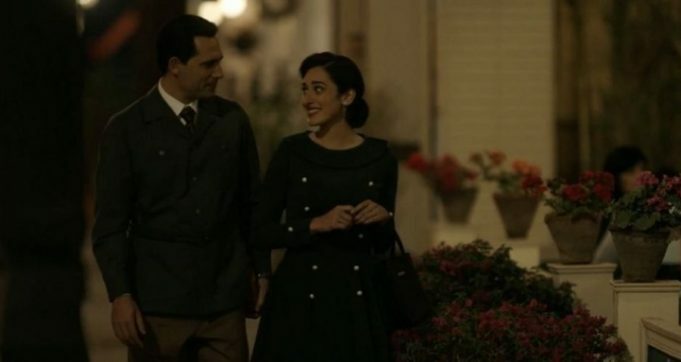 Sometimes TV series inspire the best ships just like Ali and Nazli from Grand Hotel, or Amina and Selim from Halawet el Dunia. This year’s Ramadan entertained us with amazing series yet some of the relationships in those series were so dysfunctional that no one should ever look up to them. It is impossible to live with a controlling man, so imagine living with a controlling psycho/sociopath who intentionally never allows you to leave the house to “protect you from the world outside.” Good intentions, bad execution. Sherif (Hisham Selim) is way older. He had his own children, and did not want to have children with her. Sherif chose to marry another woman, Sulafa (Basma). He blames everything on Farida (Nelly Karim). Talk about lack of communication! There was this scene when Noha (Samar Moussa) was trying to flirt with Mourad (Omar Hassan Yousef) who is her husband by the way, and it ended up with him hitting her. She fell off the yacht and actually had a fractured arm. Not to mention Mourad’s obsession with older women, and by older I mean literally his mother’s age. Every single relationship in this series was flawed and broken to the point of no return, but Mourad and Noha’s was the most irreparable. Adam and Sarah are so in love yet they suffer from what most Egyptian couples suffer from. That is lack of trust. This problematic relation turned jealousy into hatred and turned mistrust into self loathe. There is no doubt that these two were meant to break-up. Well, at least they are getting their happily ever after outside the small screen. This Ramadan, most series’ characters were in so much trouble that even our faint hope for a successful relationship died with the death of Mouhga (Saba Moubarak) from Tayea’. TV series are our favorite means of escapism, but we should all know that taking their lead is not always the best option since they are purely there for entertainment purposes. Next articleFarm to Table: Who Said That Restaurants Don’t Serve Healthy Food?